One ton of AC can cool around 110sq.ft of area . It is a general notion that more the ton better the cooling but that is not the case , in order to cool any room efficiently the air needs to be dry but if the AC has more tonnage then it will cool faster but will not dry, thus effecting the overall performance. It has many great features like remote , swing , sleep mode , timer , auto restart and many more. 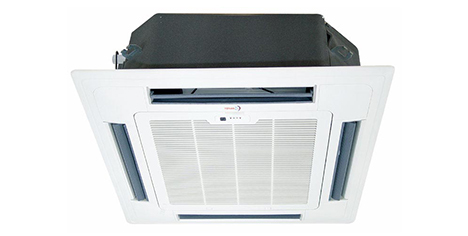 Call us for installation , repair service and AMC.We will make sure to give the best quote.